It’s not all doom and gloom for motor industry with the impending Brexit on the horizon, Rolls-Royce has announced that it is taking on 200 more staff to cope with export demand. The roles are expected to be created at Rolls-Royce’s Goodwood factory in Sussex, and the new recruitment will take the total workforce at the Chichester plant to a record 2,000. Speaking about the recruitment drive, Chief Executive Torsten Müller-Ötvös said “I am delighted to announce our new recruitment programme. This reflects not only the success of Rolls-Royce Motor Cars to date, but also our confidence in the future of our business. “Rolls-Royce continues to strive for long-term sustainable growth and we remain fully committed to luxury manufacturing at our Home here in Great Britain. 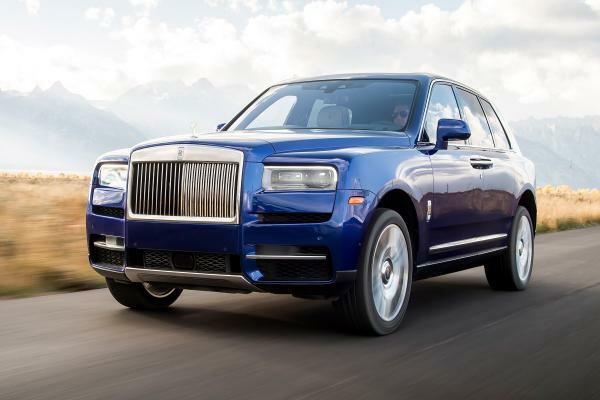 “The successful applicants will undergo extensive training before hand-building the company's model family members, including Phantom, Ghost, Wraith, Dawn and Cullinan”. Rolls-Royce builds 4,000 cars a year, including the recently launched Cullinan SUV, which comes with a price-tag of £250,000. The Cullinan is the firm’s first ever purpose built 4x4 and has a 12 month waiting list before it has even left the production line. Rolls-Royce also produces the famous Phantom, Ghost, Wraith and Dawn convertible, with 95 per cent of the cars built exported abroad. The new jobs at Rolls-Royce are across a number of skilled production areas, including wood, leather, assembly, test and finish, paint and logistics. The historic motoring brand recently announced sales were up 13 per cent on the first six months of 2018, compared to the same period last year.